The silver wand in Kalanidhi's life was provided by her parents. 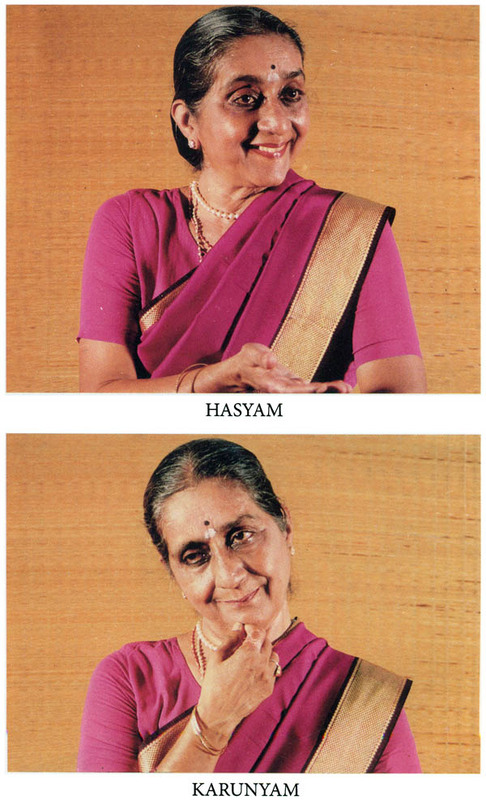 Her mother Sumitra was partial to art and artists, and encouraged daughter Kalanidhi (born 7.12.1928) into dance. Sumitra's son Venkatramani (born 24.1.1932) picked up music stimulated by the prevalent atmosphere at home. Their father S.V. Ganapathy, an engineer by profession, was a philosopher, and a learned man in the best sense of the term. His knowledge did not give false piety and sham superiority but a true understanding of Man and his Culture, Tradition. Kalanidhi's past, as a child and teenage dancer, as a full-fledged teacher much later, has given her unique talent of abhinaya, a depth, a flavor, an edge that communicate to students and audiences the world over, some- thing warm and palpable, of now and tomorrow; not something to be moth-balled and put away. Kalanidhi's husband, late T.R. Narayanan (14.12.1921 - 23.8.1986) was a director in their own firm engineering consultancy and electrical contracts. She has three sons, T.N. Prasad, a business consultant in Madras, T.N. Prakash, a management consultant in Florida, USA and T.N. Pratap, a general manager, in Dubai, Middle East. All are married, with children. I am deeply moved and honoured that my dear friend of many decades, today queen-mother of Abhinaya, should request me to write a Foreword to her book. Neither she nor I will ever forget that memorable occasion when after a lapse of many decades she began to perform Abhinaya, again. The performance was in darkness with only candle light to illumine the face of Kalanidhi. I recall, most vividly, the slow movement and the sensitivity with which her limbs moved and her face illuminated with meaning and feeling of the Bhavas she was expressing and conveying. From that moment to this when Kalanidhiji developed and matured and has given her gracious art to Indian and foreign students, it has been a long journey, fulfilling, gratifying for her and enriching for her students. For an artist whose language is the vocabulary of movement, to attempt the most difficult of all tasks to verbalize the act of movement, is courageous. 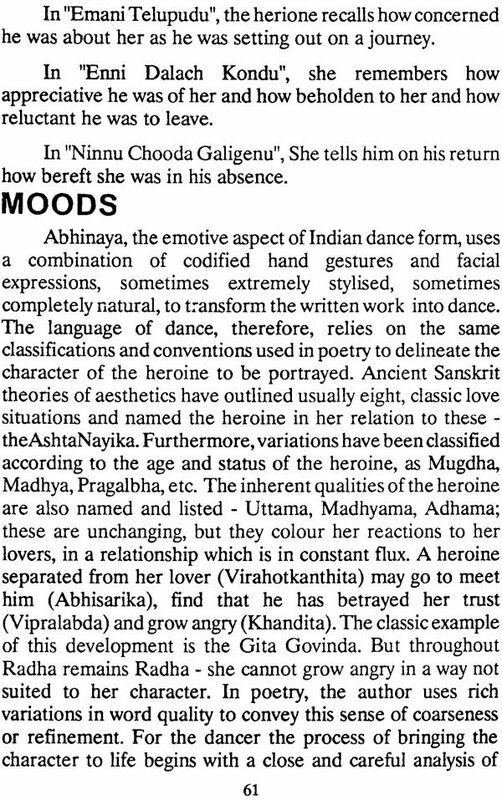 Abhinaya is the ability of the dancer to communicate through body language, movement of the limbs, stance, gait and, most of all, the face, the content and imagery of the word, the poem. This is understood and appreciated. The verbal imagery provides the foundation and is the bed- rock of the Abhinaya; the movements are the superstructure which a dancer creates. To attempt the reverse process of verbalizing the process and technique of creating the superstructure of variations, of interpretation, and the manner of creating a single mood through multiple shades is a difficult task. Kalanidhiji has tried to do exactly this. The monograph is the artist's comprehension of the dynamics of the relationship of the word (meaning and formal elements of poetry), the music, the tala and the kinetic interpretation. Pertinently, she focusses attention on the Padams of Kshetrayya. The lyrical beauty of the multilayered meaning of these Padams the dancer unfolds through the diverse variations, all moving towards a unified state. Kalanidhi explains how a dancer can interpret a phrase or a cluster of words by using the same cluster of words as statements, interrogation, description, memory or hope. Equally effective is her analysis of the dancer's ability to move in time freely, of time past, of time present, and time future. This free play of the three levels of time connected with both memory and hope; constitute a very special ability of the dancer to interpret not character but states of mind, more being. It is this which enables the dancer to create metaphors in movement, metaphors which may have been only implied in the poetic text. The capacity of the dancer to conjure up a whole world of similies and metaphors, distinguishes a competent dancer from a great dancer, because a great dancer is a poet in movement. 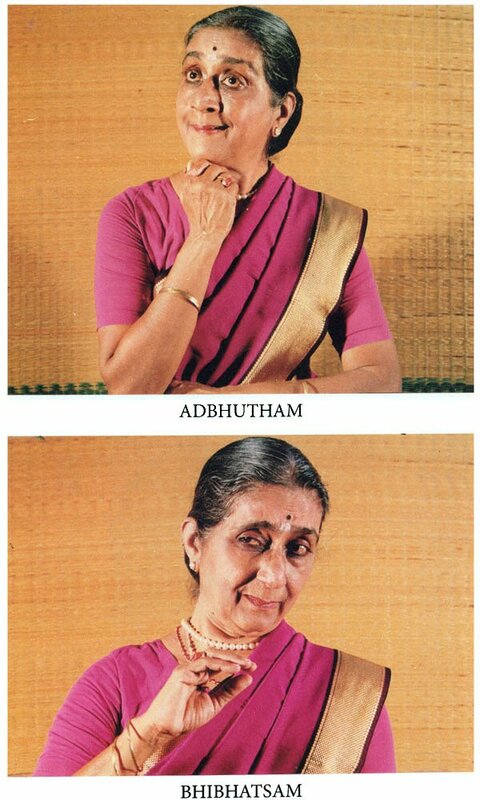 Such iS the power of the great artist of Abhinaya. 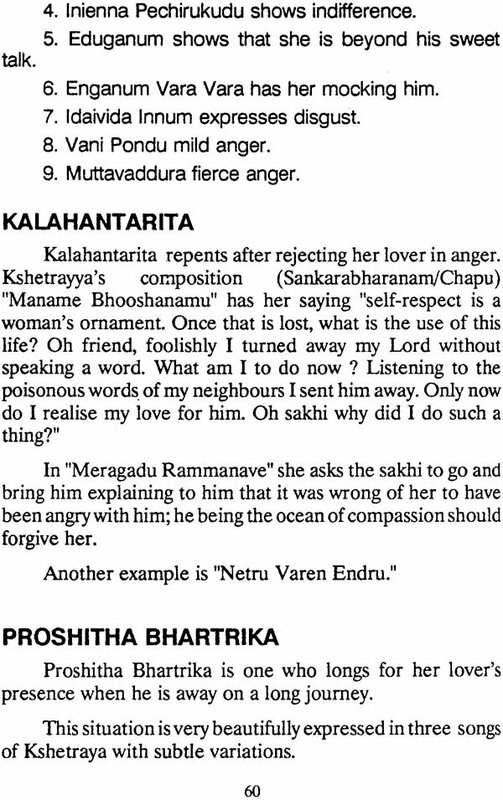 Very pertinently, Kalanidhiji, reminds her readers and hopefully, therefore her students, that Abhinaya is not a matter of literal meaning of description, of making drama, of taking different roles by moving in space, nor is Abhinaya a skilled action song, nor is it necessary to relate each word with a particular gesture. Abhinaya is that quality of suggesting and creating a Bhava from a Bhavana and not a mime or imitation of either character or action. 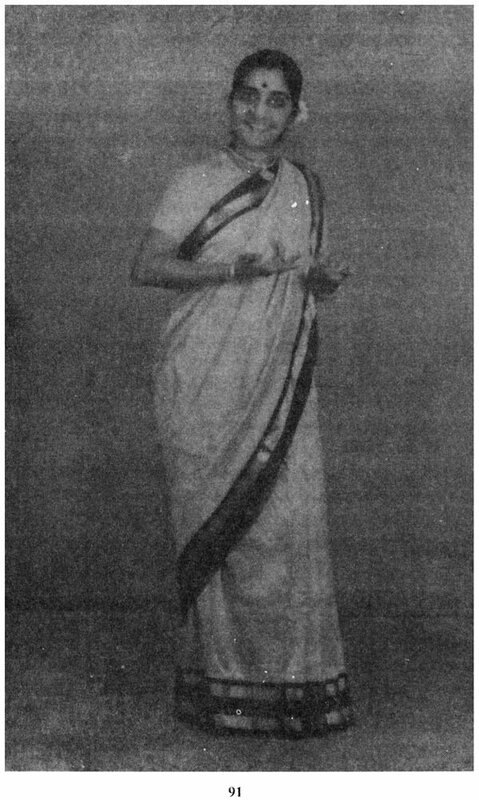 Once it is understood that the nature of Abhinaya in each of the contemporary classical dance-styles of India demands a different approach than that of drama or the skills of a great mime, it will be clear that the first pre-requisite of delving into Abhinaya is both understanding of the text as its primary level, more its secondary and tertiary levels. Added to this is the necessity of the dancer to be also a musician who can respond to the ascending and descending notes of the melody. And last, a very subtle under- standing of tala is basic. Unless a dancer has internalized and become one with the text, the music, the tala and each of flows through the instrument of not only her body but her sensibility, there can be no Abhinaya. Traditional Gurus have spoken about the art of Abhinaya as the art when the human body is capable of the smoothness of butter. No wonder, it is taught at the end of one's training when body is no longer the' body' and when there is the latent capacity to experience deep states of' being' which resonate with the poetry and the text, the music and tala. The Sthayi Bhavas, the different rasas are all but colours of a single white light. The dancer's movement is that prism which facilitates the seeing of the spectrum of the colours but it is never complete unless both the dancer and the audience experience the luminosity of the 'one light'. For all those who wish to understand, savour the subtlety, the sensitivity and the complexities of Abhinaya, Kalanidhiji's Monograph will be a source of many revelations and sharing of insights. I learnt Bharata Natya from the time I was seven. It was due to the interest of my parents in this art. I performed till I was 16 years old mostly for charitable causes. My Gurus were Mylapore Gauri Ammal, thereafter Kanjeevaram Kannappa Pillai for nritta and Sri Chinnayya Naidu in abhinaya. I then got married and entered family life giving up dance completely. In 1973, after thirty years, I was brought back into the scene by Sri Y. G. Doraiswamy, a connoisseur of the Arts. 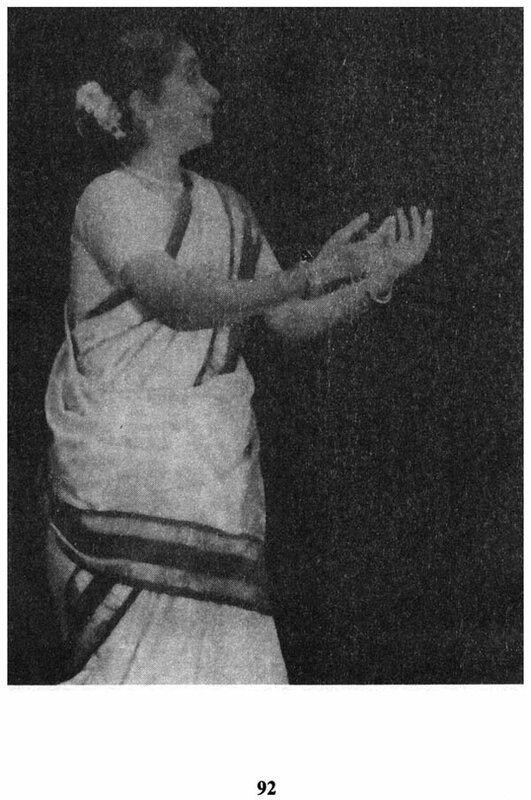 The comeback was as a teacher of abhinaya which Sri Doraiswamy felt was being given stepmotherly treatment. Since then I have been teaching. I have given a number of lecture demonstrations and programmes of Abhinaya, solo as well as with my students. There do not seem to be many books on Abhinaya in English. This book is a compilation of the lecture demonstrations and articles I have written in the past twenty years. 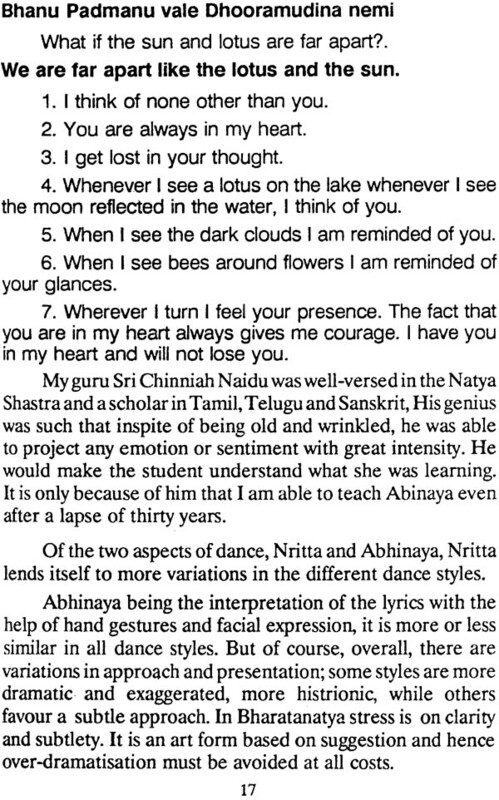 My experience in Abhinaya made me think of sharing my thoughts with others through this book. I find it very difficult to write on Abhinaya as it is a very vast subject and the nuances cannot be put in words. It can only be taught or discussed in person. I have made a first attempt through these pages and I hope it will be of use to practitioners of dance. My students V.A.K. Ranga Rao and Priya Govind helped me in the preparation of the manuscripts. I would like to record my appreciation of the streamlining done by me long-time friend Mrs. Lakshmi Lal. My sincere thanks to Dr. Kapila Vatsyayan, a person who is deeply respected in the world of Dance and Art, for readily agreeing to write the foreword.